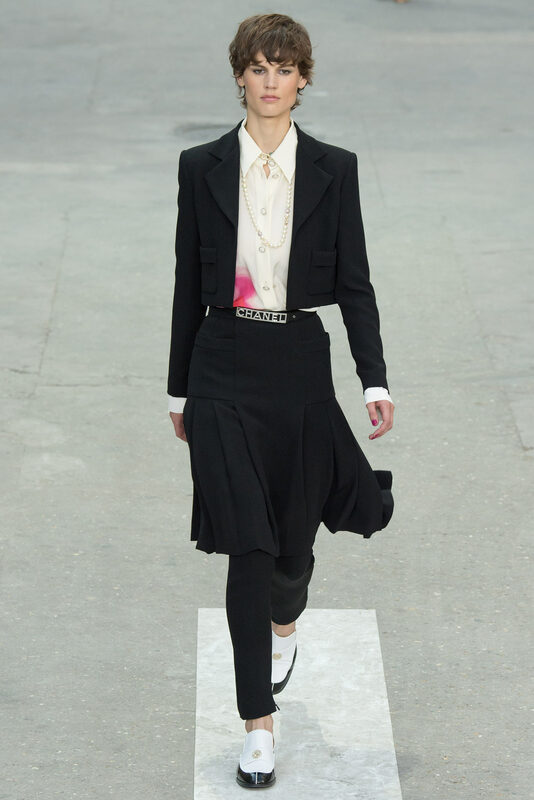 Although the Chanel Spring/Summer 2015, Ready-to-Wear Collection was presented back in October 2014, it has been the recent political events including the legalization of gay marriage in the United States and seeing all of the demonstrations and protests throughout the United States and the world on various political issues that made me think about this fashion show’s finale of protesting models. While to the fashion world, this was another perspective from Creative Director, Karl Lagerfeld. The large and more social commentary on the world around us is that Lagerfeld’s vision for his collections are really quite reflective on the global community. While he loves to design and dress the elite from this glamorous world. Lagerfeld truly has the power to transform his audience to think about the “big picture” of what is really going on in the world. Perhaps it has been the political events throughout the world including women’s rights issues in the Middle East, the uprisings in Hong Kong during the time of this fashion show, and even the terror attack in Paris shook the city to it’s core in the winter of 2015. While on a singular level Lagerfeld has been able transform the fashion industry in helping influence what we choose to wear on a daily basis. It was the context of this show’s message of being fearless, fighting for your rights, and to be brave. The soundtrack playing was “I’m Not Scared” by the Pet Shop Boys. 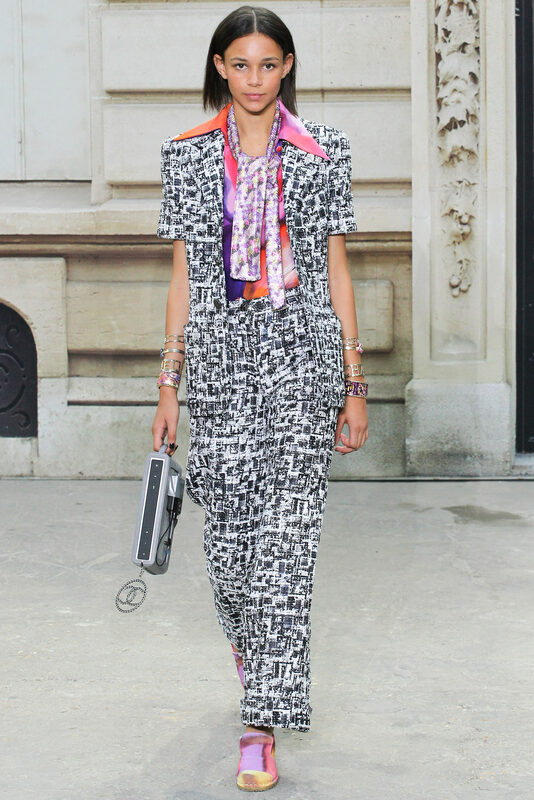 While this was one of the quickest Chanel shows at just over 10 minutes, the models were walking so fast down the Boulevard Chanel in the Grand Palais. There was a strong women’s empowerment feel to the clothes. “Be Your Own Stylist” was a theme that was discussed by Lagerfeld in his interviews on this collection and while he set out over 80 models wearing individual looks and while many of were grouped together in various similar looking including tweed suits, bright and colorful rainbow outfits with bold floral rain boots, military monochromatic looks, black/white looks with a touch of metallic golds. One special thing about this fashion show was cast current spokesmodel, Gisele Bundchen in one of her final appearances in her career. She was interviewed by MODTV and explained that she originally was asked to attend the show and sit in the audience but she asked if she could walk in the show because she wanted to be a part of the action. Until next time, I’m Gavo Capote!